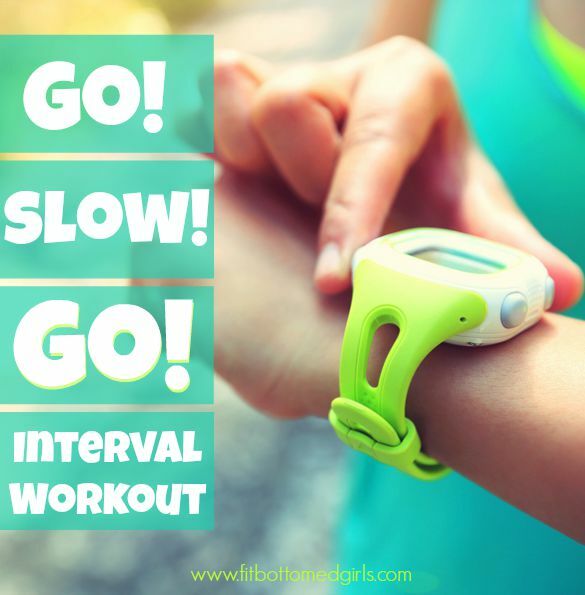 Cardio interval workouts are the best. Not just because they boost performance (although they do) or because they’re great for torching loads of calories (although they are), but because, well, I can do basically anything for a short amount of time. Ask me to go all out for 20 minutes? I’ll work hard (because of course I will), but I’m going to pace myself so that I can finish. But ask me to go all out for 1 minute, 20 times? I will give you everything I have for every single interval. And that’s why I loved this workout so much. By the time I got off the bike, there was a pool of sweat (gross, I know, whatever) directly below me and my legs had apparently been replaced with jelly, but I was able to push myself hard — legitimately hard — through the final interval. Either a timer that will audibly notify you every minute, on the minute, (many sport watches have this kind of interval functionality) or a clear view of a clock that shows seconds. You should not interrupt your hard intervals to check the time. Cardio equipment of choice. This workout could easily be done while running, on the elliptical, rower, on a bike outside (assuming you have a nice, clear path), you name it. I just really enjoy it on a stationary bike (or on my bike on a trainer) because of how hard I can push before my heart rate gets out of control. But, you know. You do you. Warm up for 5 to 25 minutes (depending on how long you want your total workout to be), building speed as you go. Go all out for one minute. Don’t build into it any more than is necessary. Don’t worry about whether you’ll be able to hold that same hard effort on the last interval. Just go for it! Take it easier for one minute, but do not stop — keep moving at a reasonably comfortable (but not leisurely!) speed. Repeat Nos. 2 and 3 nine more times for a total of 20 minutes. Cool down for 10 to 15 minutes. This is such an easy to memorize, yet great workout! I can see myself trying this out on my stationary bike, elliptical, on our outside wogs, jump roping…geeze, there are so many ways to use this to keep it entertaining. Also, yes, if you ask me to push my hardest for an entire 20 minutes I would laugh in your face while eating a bonbon…tehehehe…but for 30 sec – 1 minute intervals, I’m all over that!!! Whoa. Love this. I need to get on this plan. I love it. You can do anything for a short amount of time!!! So efficient! I drive a truck. .yes that is 18 wheels rolling at all times lol..I did a program they work and it worked but once I was of of it well you can picture the results. Anyway the huge problem with my job is the fact that 1:I can’t just go to a grocery store and get healthy food because tricks aren’t allowed in allot of places and I wouldn’t have any where to put it and 2:I can only app for 30 min to take a break. Now most of the time I can get out and do 30min of walking (trying the zombie run 5kapp) but that is only if I can find a safe place for me to do so and I do have a small fridge so when I’m able I get some fruit and some almond milk and a box of special k cereal and I try to eat as healthy as I can. This is so hard for me I am way heavier than I ever was and I’m so not liking myself or the way I look and I’ve talked to people who are into the who’ll healthy eating and stuff but all I get is well that sounds hard good luck. I’m at the end of my rope because I don’t know what to do. Is there any help you can give our anything I’m that desperate. I love Hiit workouts! I started doing them about 3 months ago. Can be done just about anywhere. I do the treadmill sprints and do them an average of 4 times aweek. I am not one to do marathon workouts on the treadmill, and this workout fits great into my busy schedule as an oncall surgery nurse. I worried about doing such an intense workout as a 50 something woman, but I have had no problems at all doing them. I even got 2 guy friends into doing intervals! Hi, I am having trouble with some of the push ups due to my stroke and left arm weakness. I don’t have the strength to hold my self up in the position. What else could I do to try and strength my arm I have red green and pink band’s?